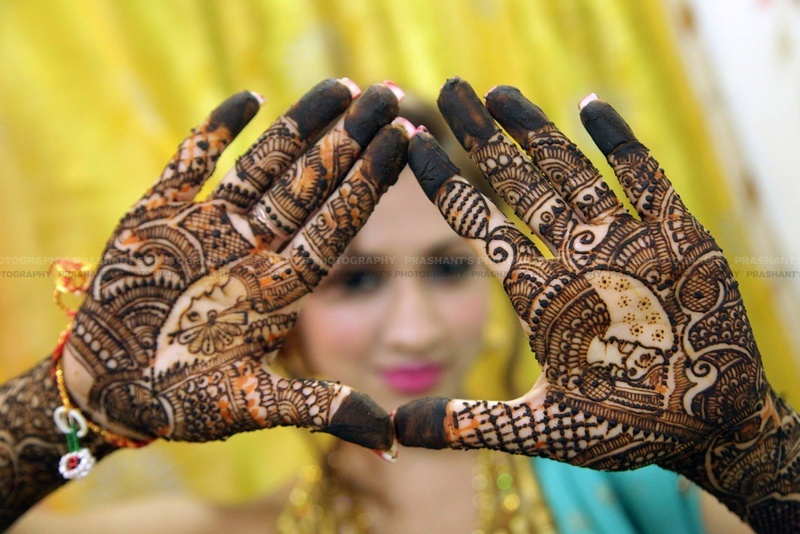 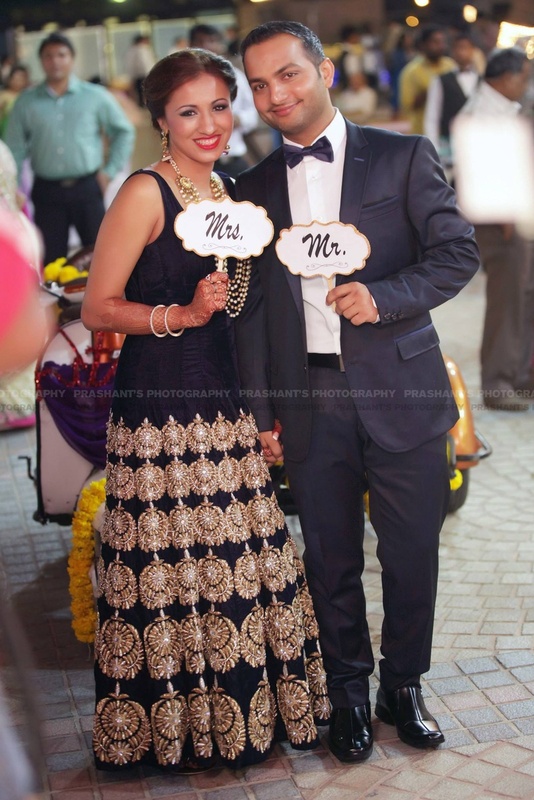 A quirky couple whose wedding was made up of all things fun, loud and unconventional. 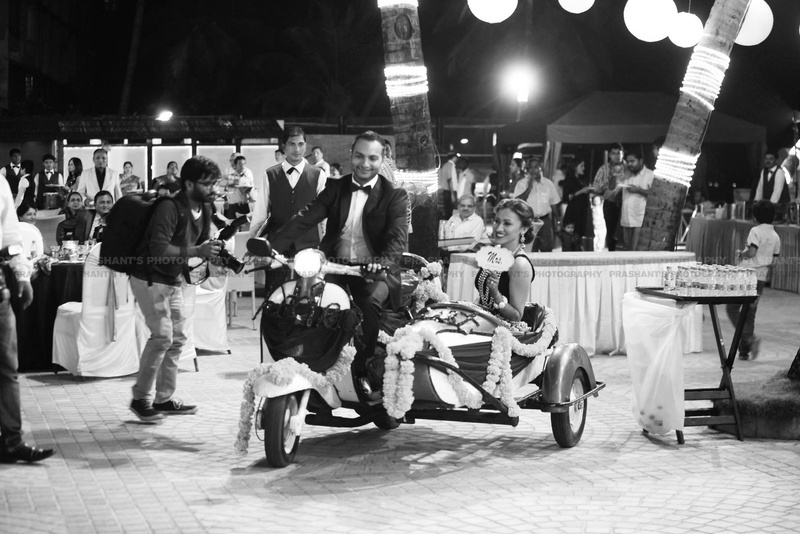 Right from the pirate photo props to the sidecar scooter – every element at their wedding had bouts of crazy and we loved it! 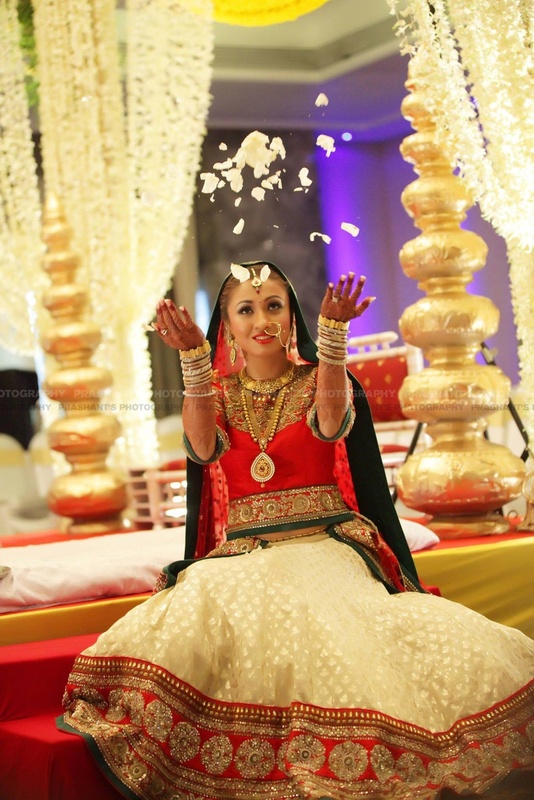 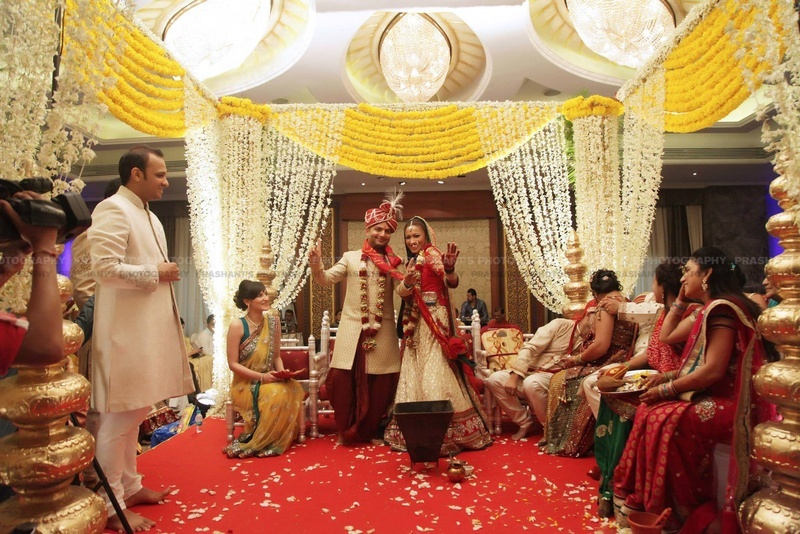 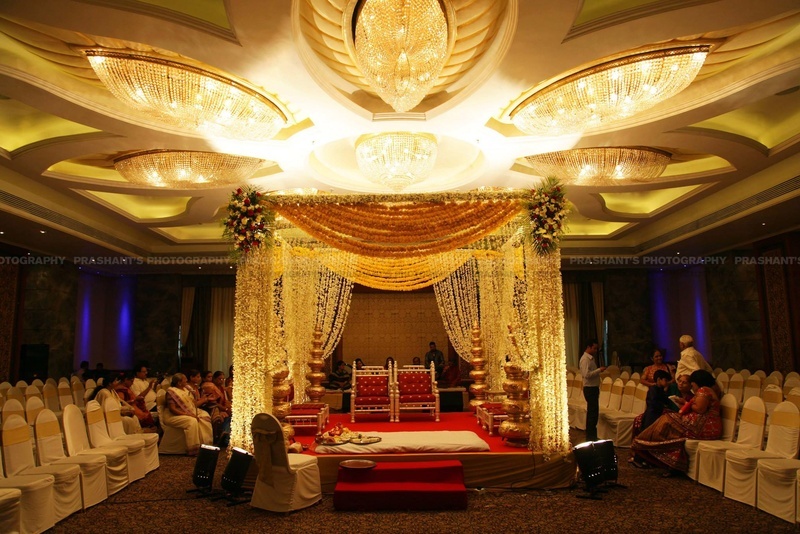 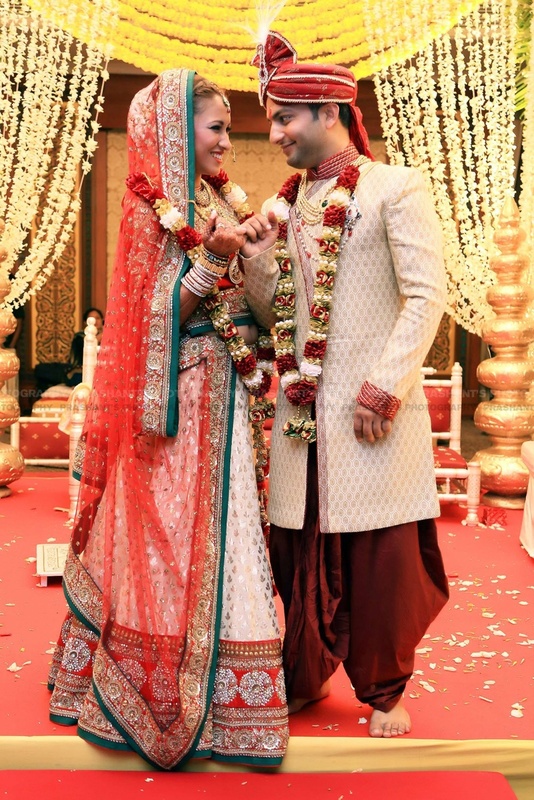 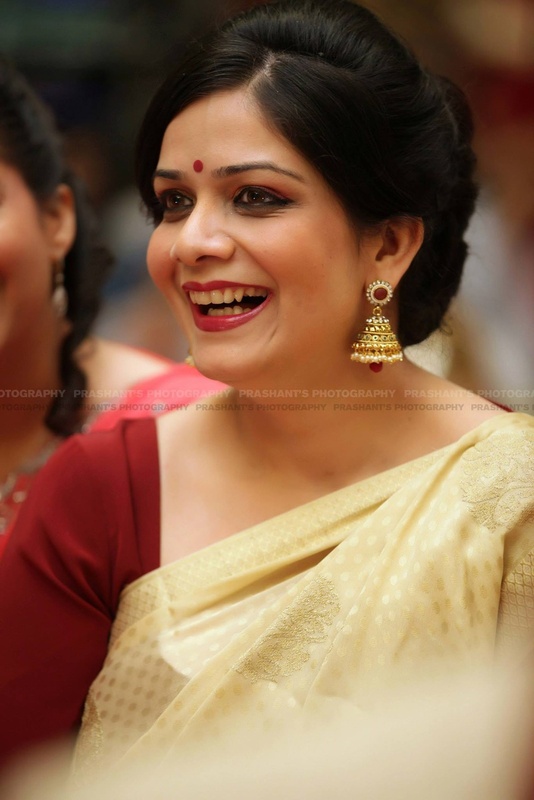 While the wedding was an all-out traditional affair complete with a fully floral mandap decorated exclusively with marigold and jasmine, the reception was oozing with elegance in all its components. 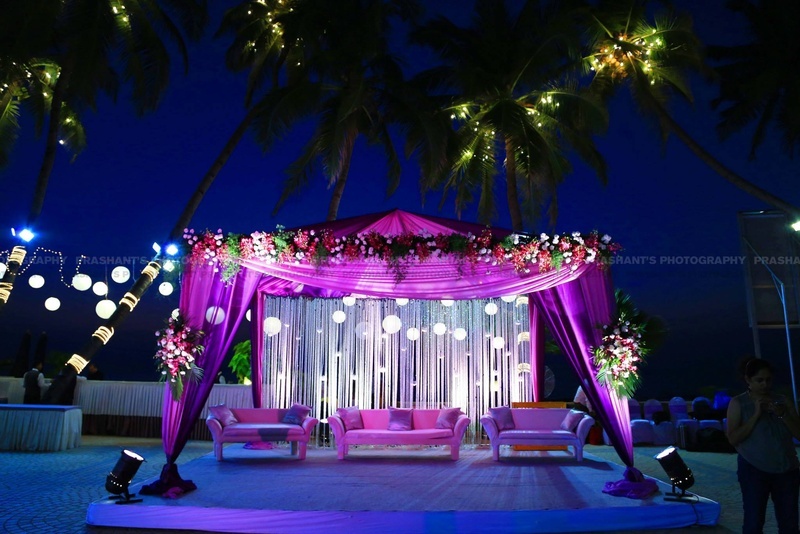 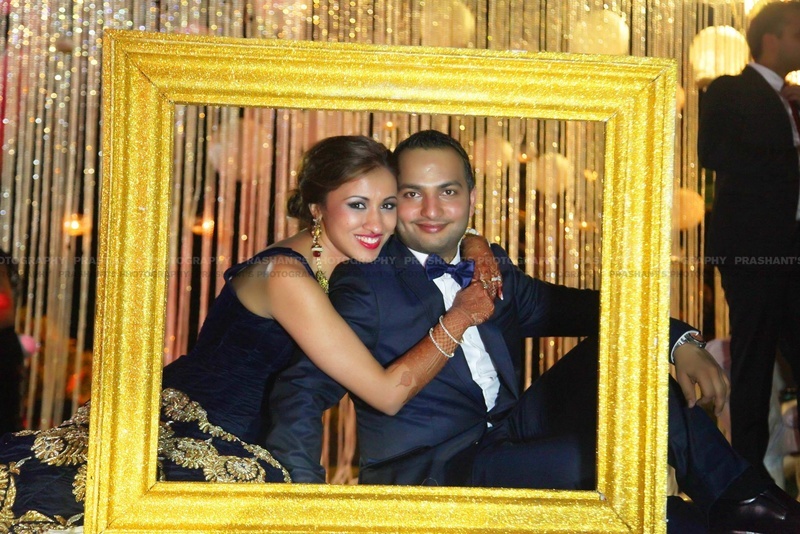 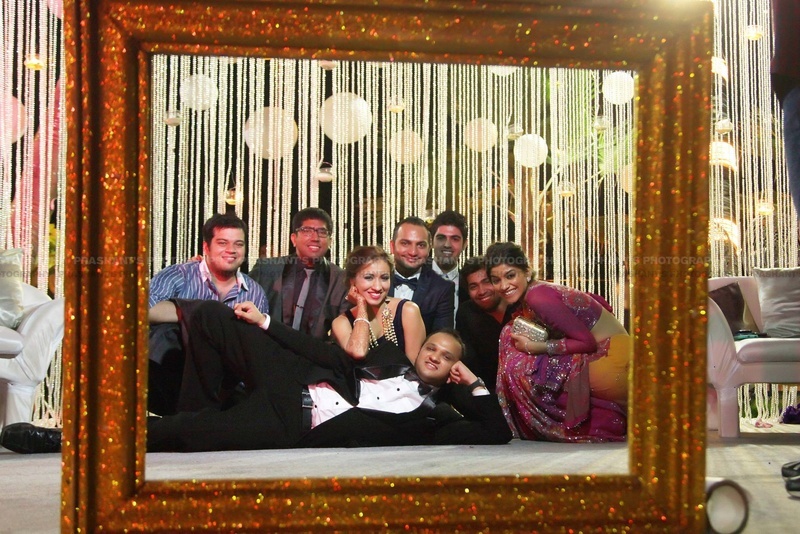 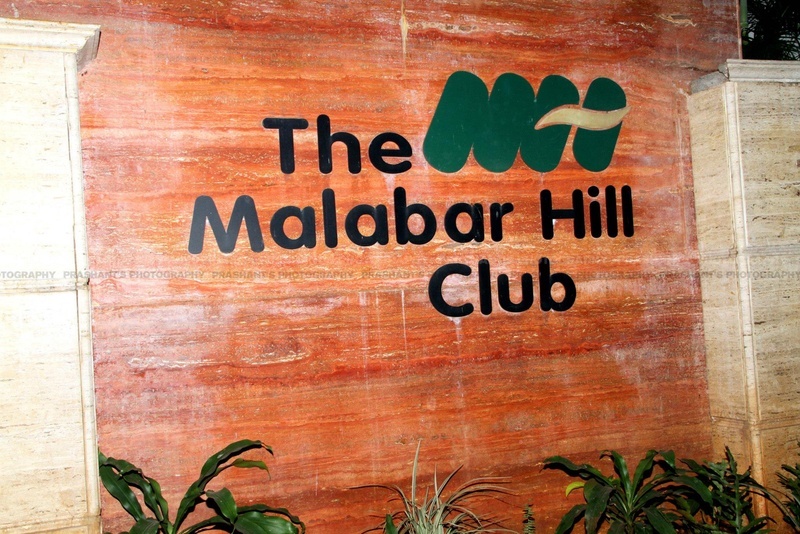 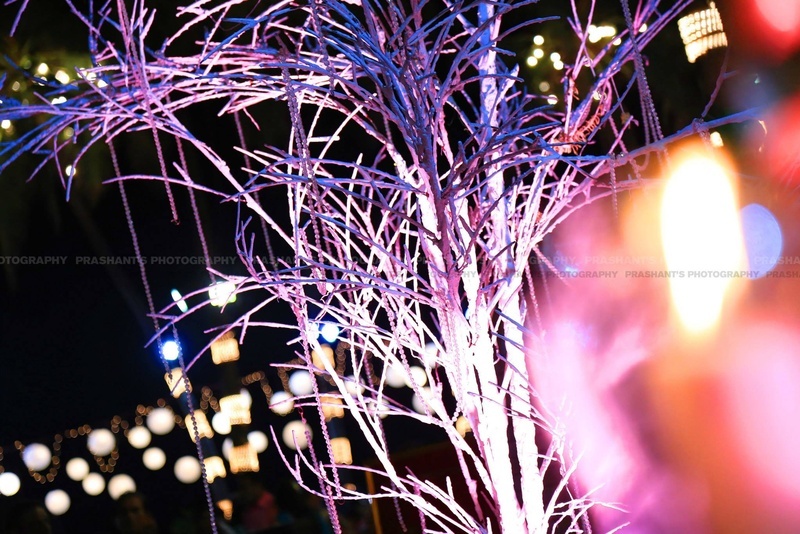 Mansi and Nimit’s outdoor reception held at the Malabar Hill Club was set up in a theme of purple, gold and silver. 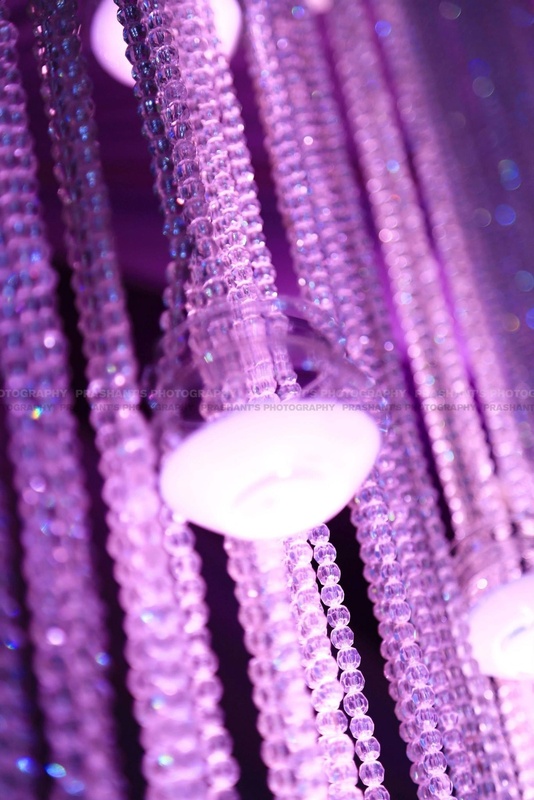 Colors that spoke of taste, elegance and class. 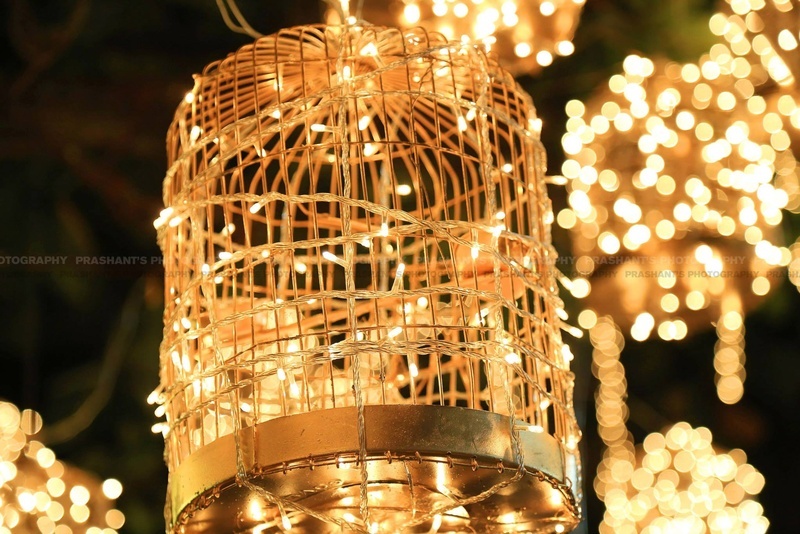 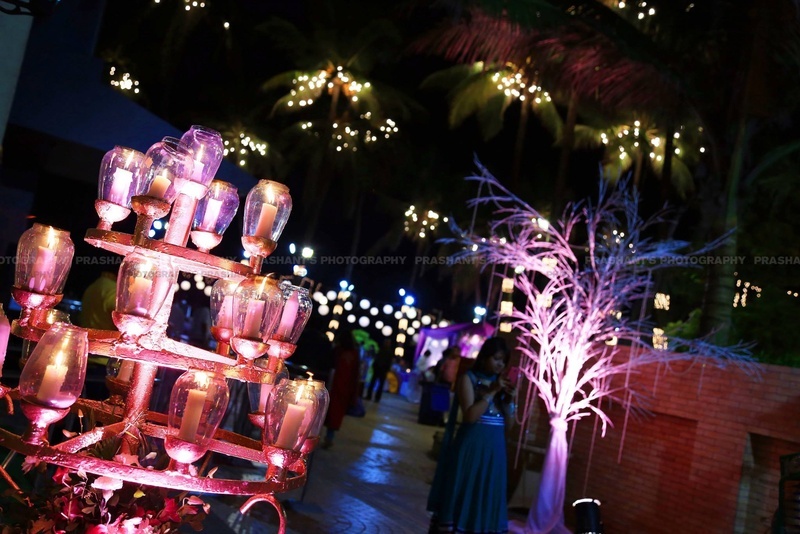 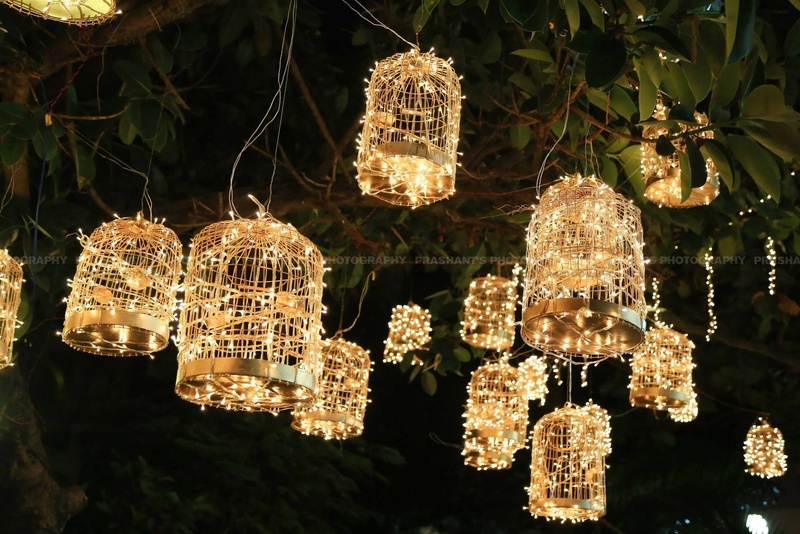 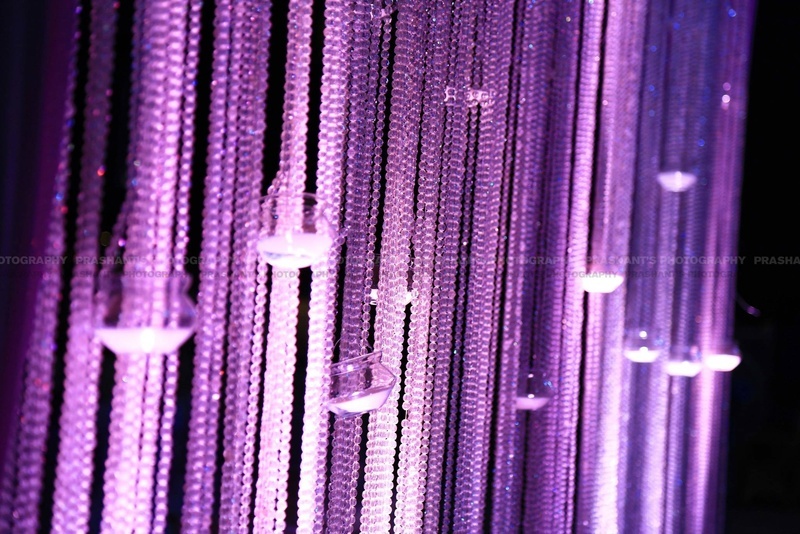 Strings of crystals, candle-lit chandeliers, white gold lanterns and (our personal favorite) the birdcages wrapped up in fairy lights – this reception was truly drool worthy just with the gorgeous outdoor décor! 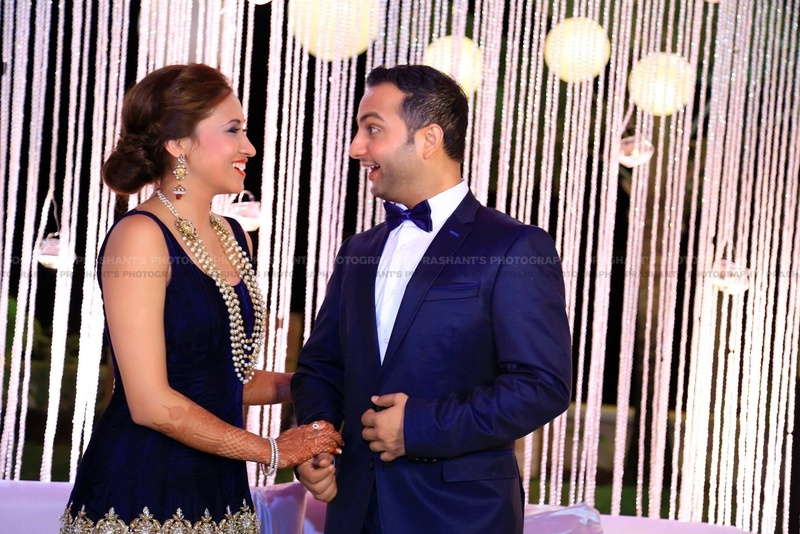 And to compliment this elegance exuding set up were Mansi and Nimit’s attires too. 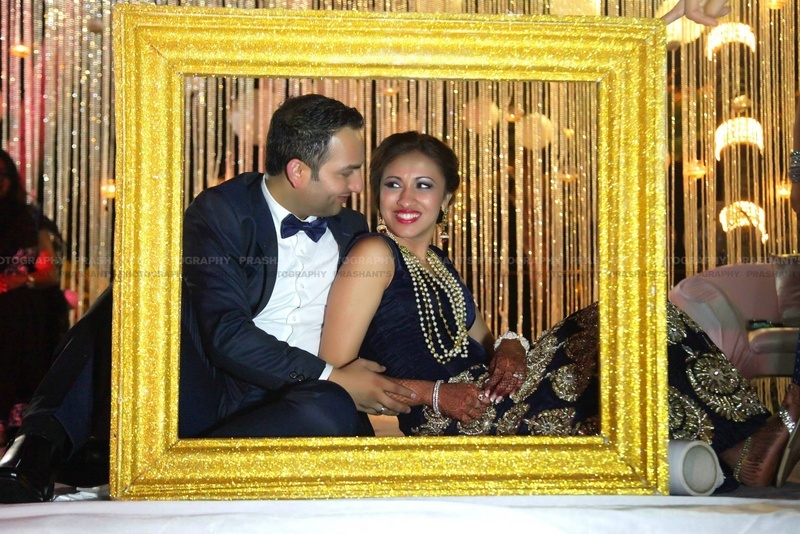 Mansi wore a navy blue Indian gown with gold embroidered motifs designed by the ace bridal wear designer, Manish Malhotra while Nimit went all-out classic in his black tux, white shirt and black bow-tie to match. 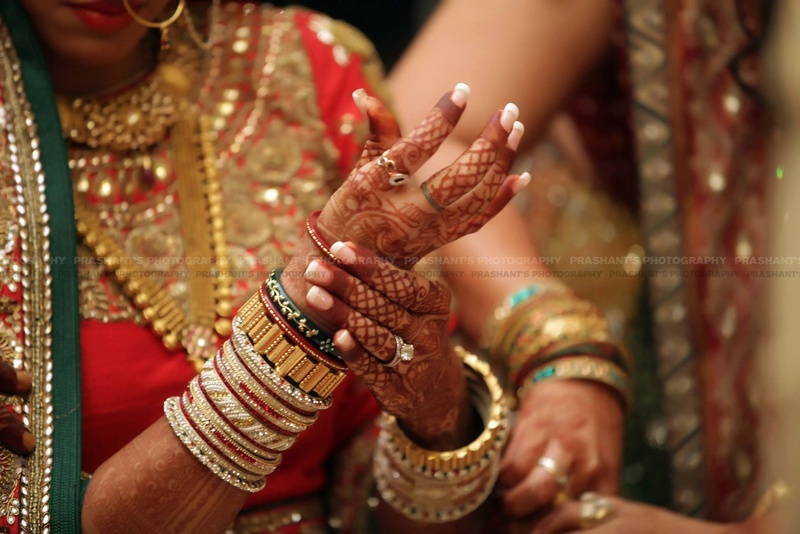 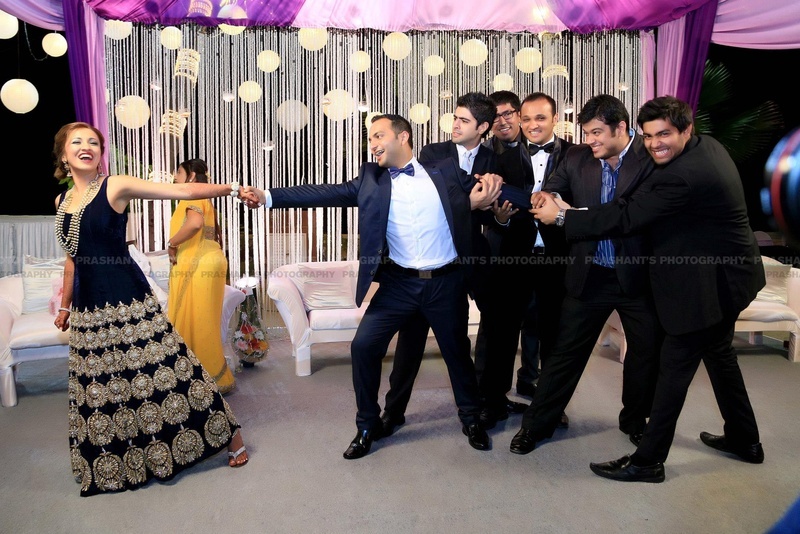 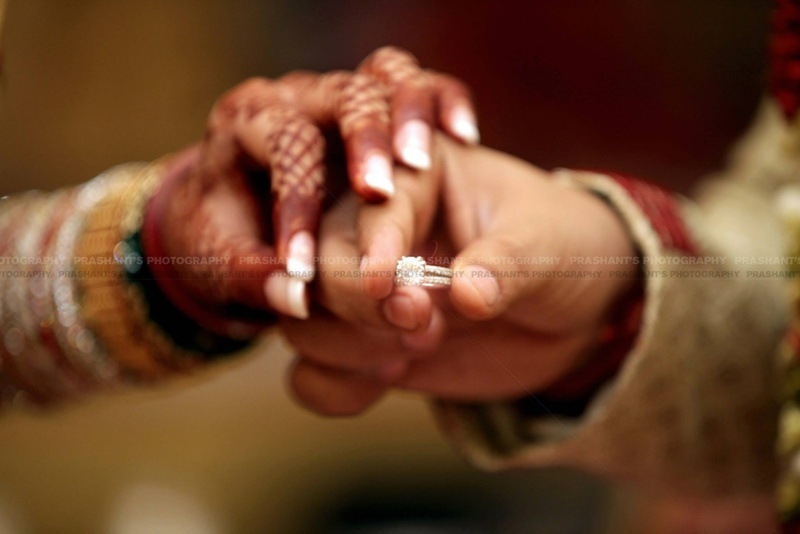 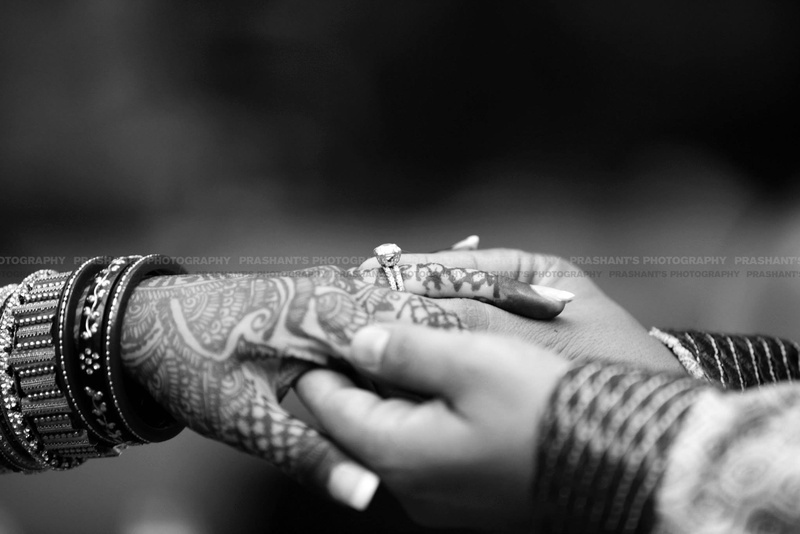 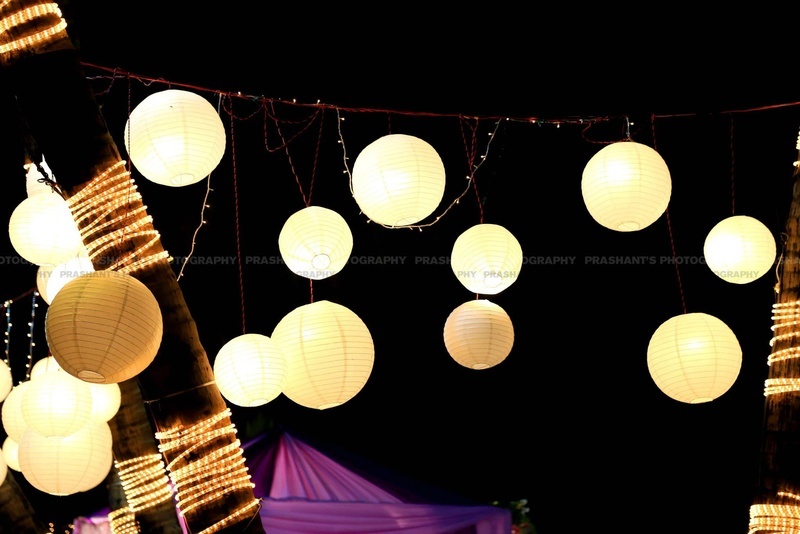 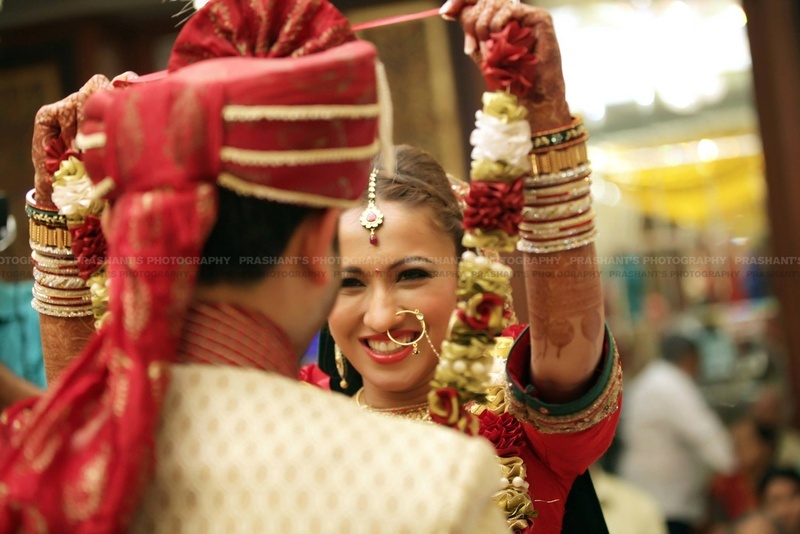 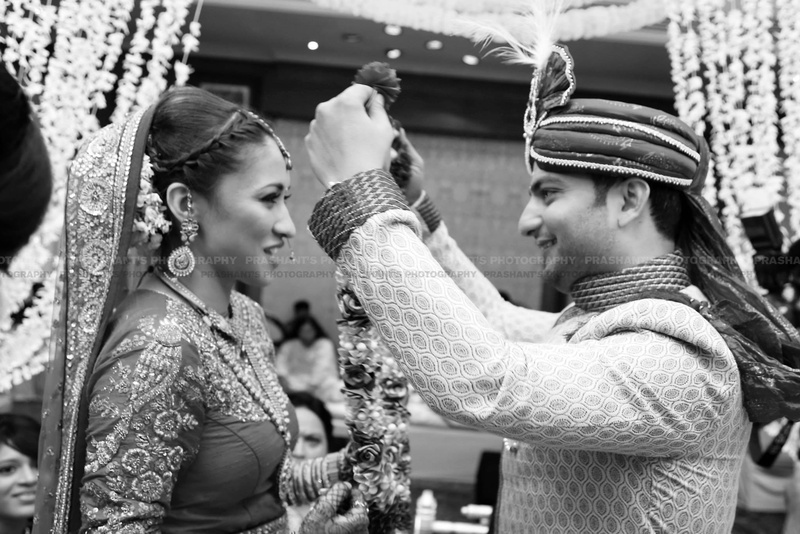 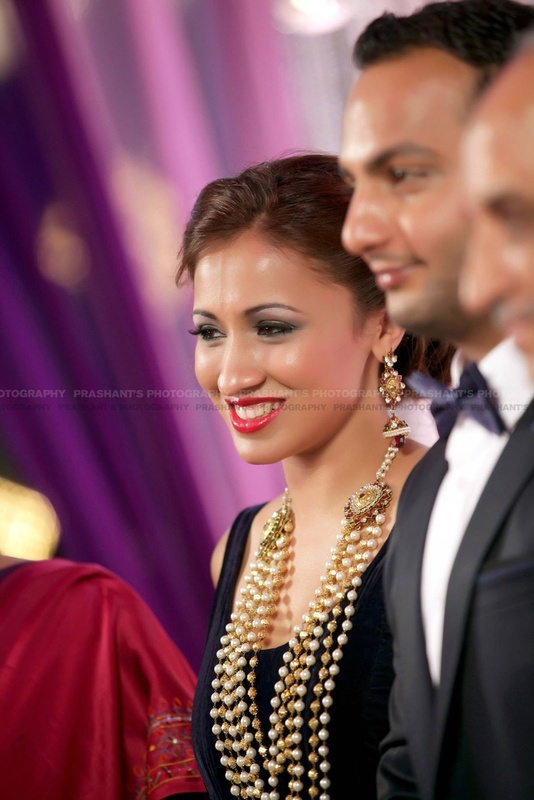 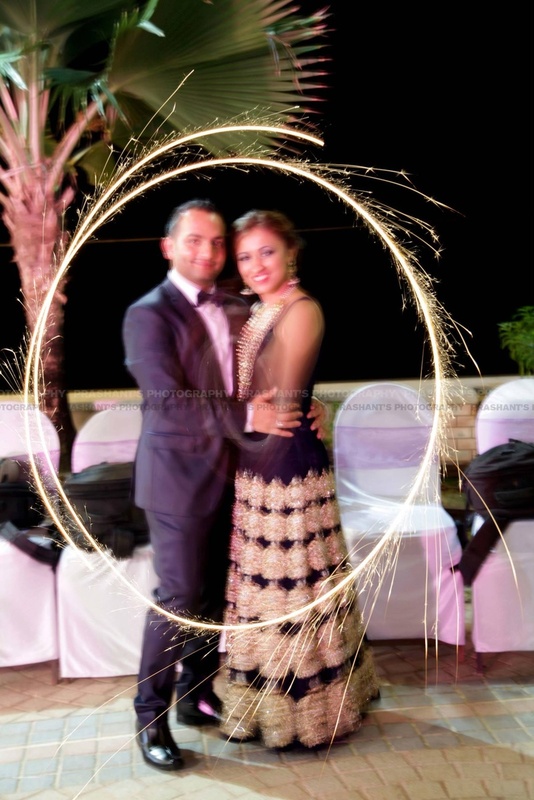 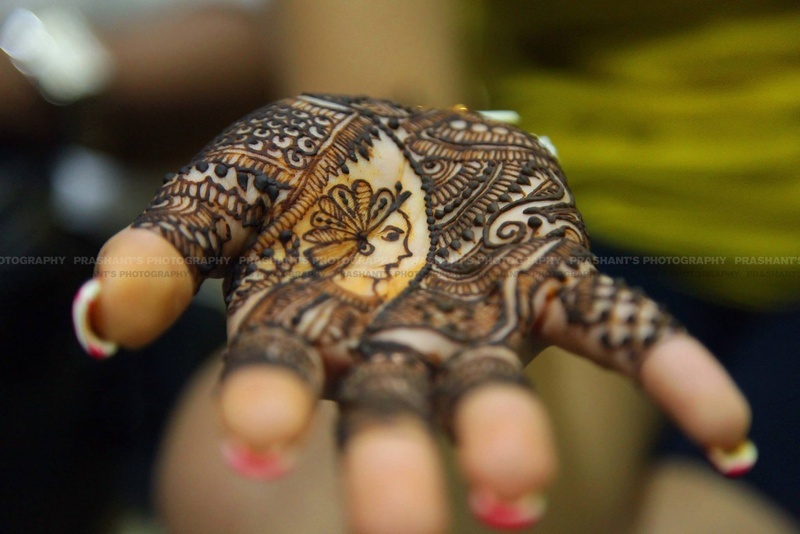 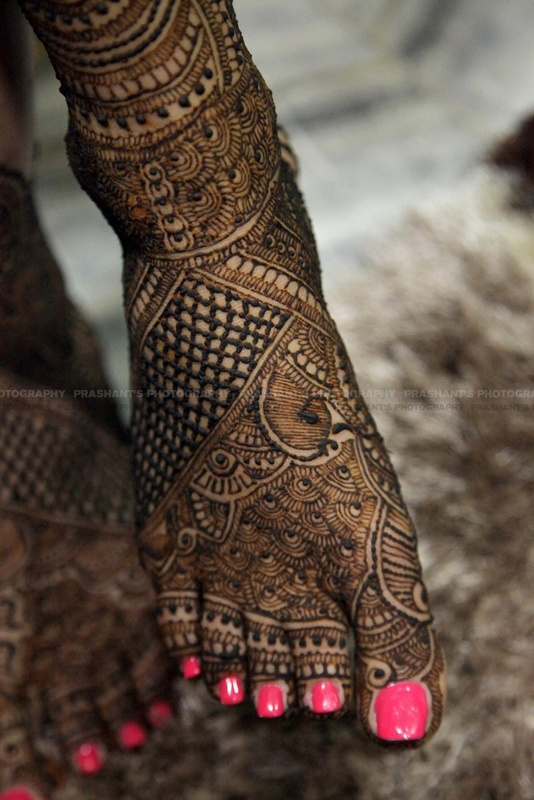 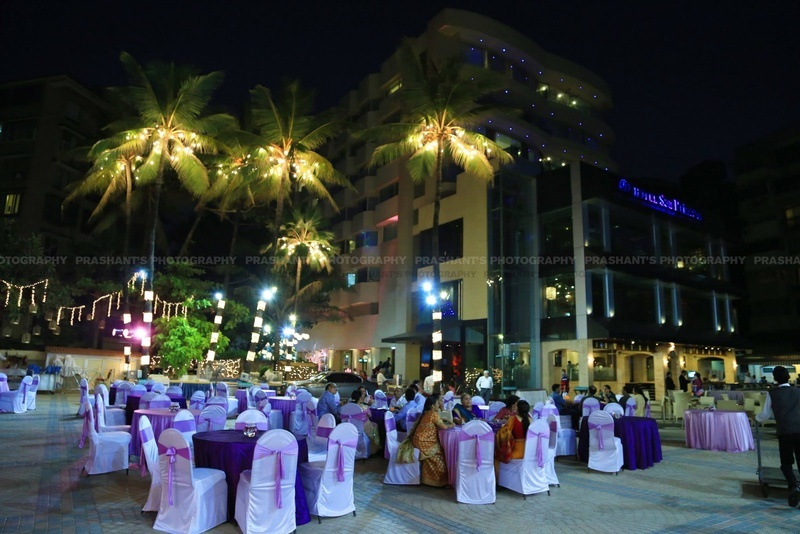 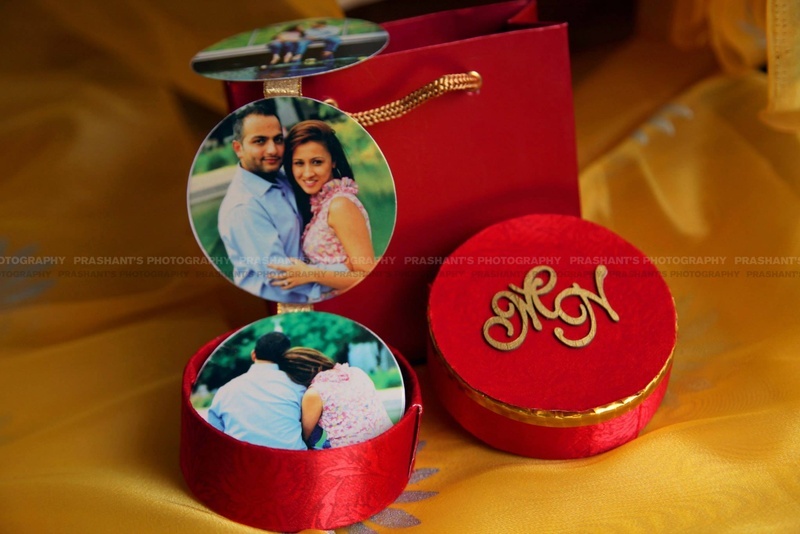 Prashant’s Photography did an exceptional job in captured this tasteful wedding affair – whether it was capturing this couple in their elegance or bringing out the crazy in them, every photo was shot with flawless talent and style. 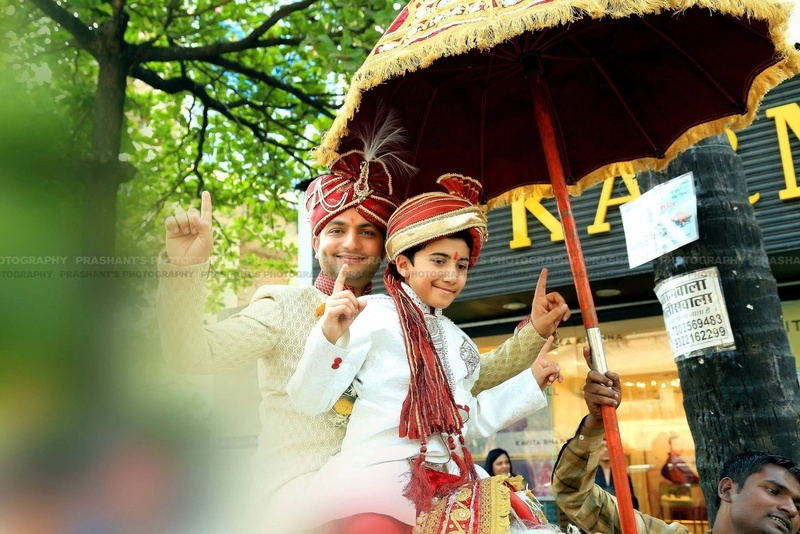 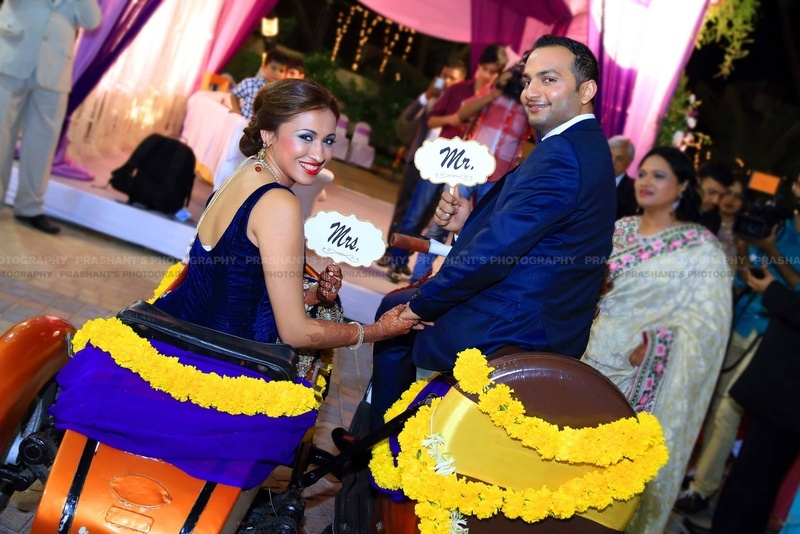 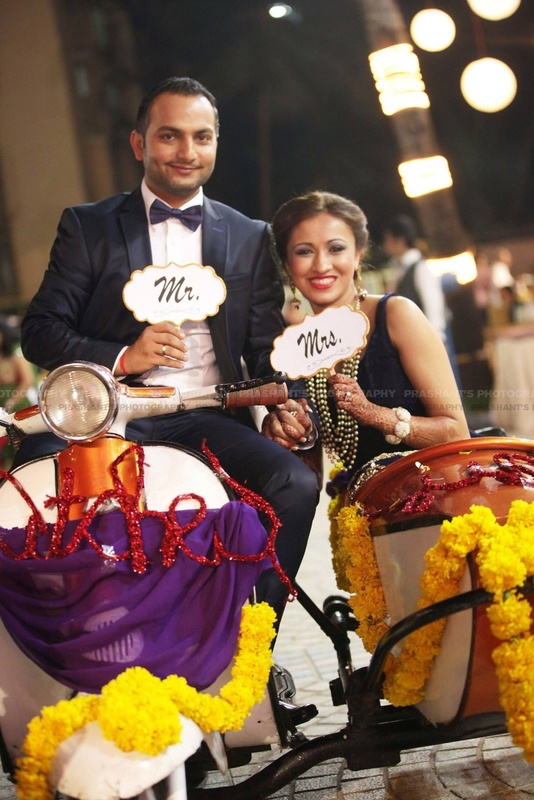 What you should look out for as you scroll through this album – the breathtaking reception décor, the uber cute entry of the bride and groom on a sidecar scooter and the shimmery gold photobooth frame!